Where will the Global digital and teach leaders be in October? Certainly, at the sixth Global Webit Congress on 1-2 October in Istanbul. For a sixth consecutive year the upcoming Global Web Congress will bring together thousands of professionals from the Digital, Tech and Telecom communities to network, share experiences and discuss new trends, future expectations on the respective hot and trending topics. 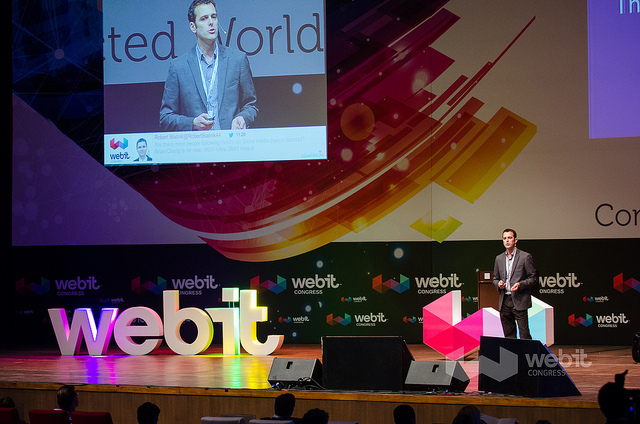 This year the EMEA premium event, the Global Webit Congress is even bigger and more challenging. Over 10 000 attendees from over 110 countries, more than 200 speakers and 300 accredited media will meet in Istanbul on 1-2 October. The Global Webit Congress is the place to meet over 3500 C-level, global and regional regional reps of advertisers,agencies, publishers, tech providers and disruptive startups. This year the Global Webit Congress 2014 has two tracks The Digital Marketing Zone and The Tech Zone. They will satisfy the needs of different specialized audiences interested in the two main topics. It will cater to the needs of digital, marketing and tech participants. This is a separate Digital Marketing and Innovation Conference. The main topics covered by the speakers and panels are Digital Advertising, Metrics, Big Data, Digital Commerce, Digital Entertainment, Media, Mobile and Social. In addition to the digital, marketing and tech crowd expect strong attendance by the start-up community. It includes the Leaders of the Future Summit, AppDevCamps and StartUp Village Expo. The Leaders of the Future Summit will be the place to meet 400 investors, thousands of start-ups and the superstar founders and most innovative technology companies. The Apps DevCamps are for developers who are interested in building relationships to technology platforms, gaining knowledge on a number of topics, from operating systems and APIs, to app stores and monetization or designing software for devices. 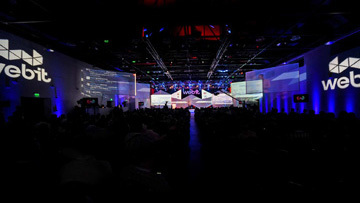 Expect to see keynote presentations and/or panel discussions with audience interaction. The agenda is provided by some of the most influential and innovative companies in the industry including IBM, PayPal, Adobe, Blackberry and many others. The StartUp Village Expo is the place to meet and interact with amazing start-ups from all around the world, governmental Investment agencies from EMEA keen to help you relocate to their countries, and grow your business there. There is a huge interest here by potential investors looking for great ideas. Last but not least we have the Founders Games. The Global Webit Congress created the 1 Million EUR Marketing Grant for start-ups to give them a special market advantage and to boost the business and the opportunities to success. The Founders Games is the single most influential event for start-ups, providing over 1 Million EUR grant in marketing budgets for up to 200 start-ups. So hurry up. Book your ticket now! On 1st and 2nd of October in Istanbul Turkey at the Halic Congress Center start-ups meet investors, over 300 accredited media and the CEOs, CMOs and CTOs of the world’s largest and most innovative companies along with the biggest global and regional advertisers.